Do you wish your vehicle had a TPMS System? 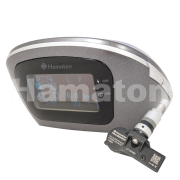 Look no further than Hamaton’s TPMS Retrofit Kit which is an ideal alternative. Similarly, via a dashboard monitor, Hamaton’s Retrofit Kit will warn you if tire pressure becomes abnormal to increase your safety on the road.